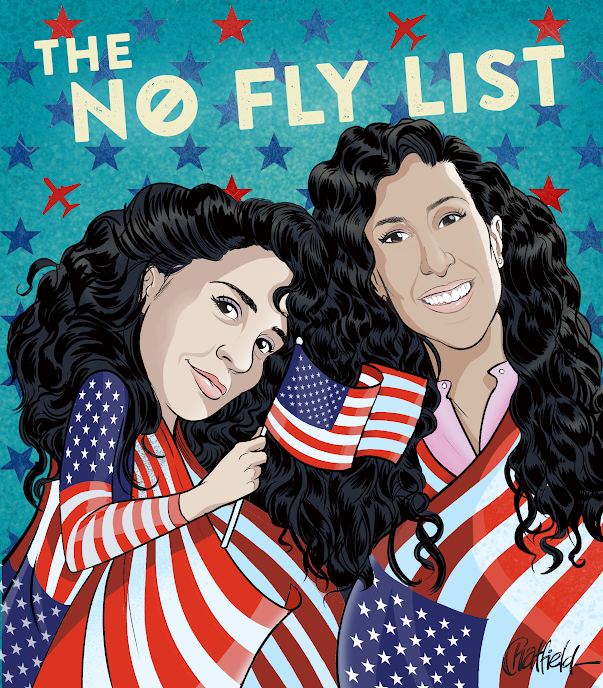 Adapted from their hit podcast, The No Fly List, this standup show hosted by comedian Atheer Yacoub and journalist Leila Barghouty is wild a night of irreverent multi-cultural comedy. The stand-up show will feature a diverse line-up of your favorite brown comedians who have been seen on Conan, Just for Laughs, MTV and more! 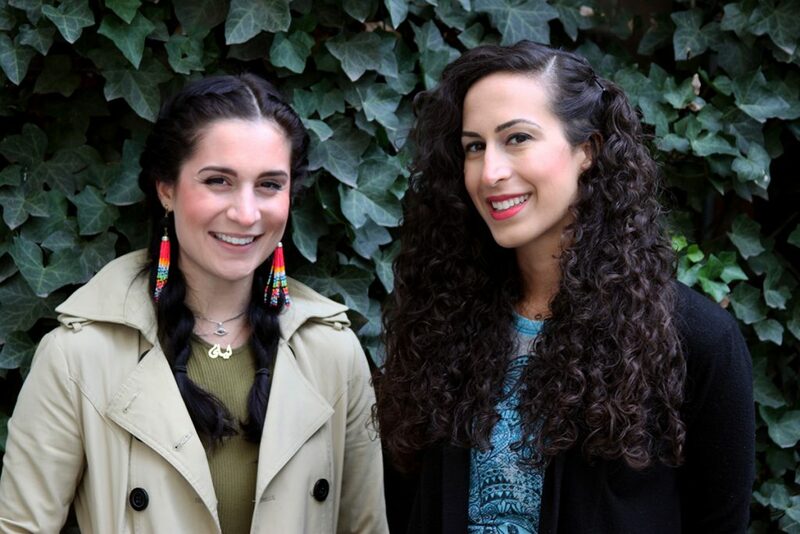 We interviewed Atheer & Leila about their upcoming show, Saturday, December 1 at 10:30pm! The No Fly List is first and foremost a podcast. Can you fill us in a little on the illustrious history? There are a lot of great comedy podcasts out there that we enjoy, but most of them are by straight white men and don’t feature a lot of women and people of color. We wanted to create a podcast to elevate and give voice to comedians, artists, and other interesting people who are “brown.” The name “The No Fly List” pokes fun at being Middle Eastern and the stereotypes that come with it. Most of our guests are also Middle Eastern, South-Asian, and/or Muslim, with names that are likely to get stopped at airport security. Every episode we learn something new and interesting as we have a great variety of guests with interesting backgrounds and compelling stories. It’s hard to pick out favorites, but some good ones to start with are Bassem Youssef, Krewella, and Molly Crabapple. While Bassem leaned into his identity to inform his performances, artists like Krewella and Molly struggled with a sense of otherness. It’s interesting to see how each of are guests are so uniquely influenced by their backgrounds. What's it like bringing a background in journalism together with comedy? Since this is an interview style podcast, the journalistic background helps guide and structure the conversation, while the comedy keeps it light and fun. We get to have these light hearted conversations with some of the coolest artists of color in the industry, while still shedding light on issues facing minorities in America today. Who can we look forward to seeing perform at the show? We have a great lineup of comedians who have been on Conan, Just for Laughs, and MTV. For this next show, we have Khalid Rahmaan, Eman El-Husseini, Sopan Deb, Narinder Singh, and Sophie Santos. Each comic comes from a different cultural background and does an amazing job of making fun of themselves in a relatable way. Are either of you working on any cool new projects right now? We’re constantly working on multiple projects and exciting ideas. Atheer is working on her stand-up, writing scripts, and collaborating with other Muslim women of color on potential projects. Leila just had films come out on National Geographic Channel and BBC, and is investigating police racism with the Open Policing Project. Get ready to take off with The No Fly List, Saturday December 1 at 10:30!